The T. Wall Foundation is dedicated to helping all children and families in need, but has a special place in its heart for helping special needs children. The ongoing goal is to make one day a very special day for children and families who need it most. Learn about all the great people who make the T. Wall Foundation a success. We have a wonderful board and volunteers who make all our events possible. We're always looking for volunteers to help. 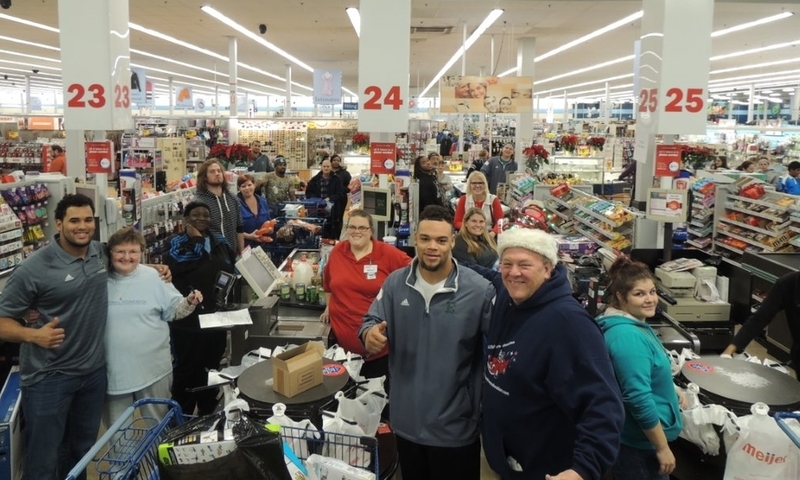 In 2015, the EMU football team helped our families shop at Meijer to provide gifts for their family during the Holiday season.